“What would you like to be in the future and what would you like to do?” It’s 1978, and Sujan Chinoy is an exchange student at Otemon Gakuin University in Osaka being interviewed for the Yomiuri Shimbun. “I want to become a diplomat and come back to Japan,” was his response in Japanese. It took nearly 40 years and two potential assignments to Japan that fell through, but since 2015, Chinoy has been living his dream and serving as the ambassador of India to Japan. He still has that newspaper clipping and a small daruma doll whose second eye he was finally able to fill in. His interest stemmed from 15 to 20 short homestays during his 1978 trip where Chinoy alternated between living at the campus guesthouse and short visits. Although Japan marked Chinoy’s first overseas trip, he’s always been inquisitive about the wider world. Chinoy was 6 when he first decided he wanted to join the Indian Foreign Service and work in diplomacy, inspired by his mother and a family story. Nearly 200 years ago, a “certain Mr. Shah” became one of the first Indian businessmen to settle in Shanghai, making a life and living there from around 1822 to 1834. During this decade, the businessman traded his surname for a new one — Chinoy. This was also the primary reason why Chinoy chose to specialize in China instead of Japan. “I can’t believe it that (my dream) stayed on course for so long and I can’t recall ever having thought of anything else,” said Chinoy. The ambassador can’t pinpoint a specific achievement from the decades he’s spent serving India that shines above the rest, but joining the Foreign Service at 22 was monumental. “The old description of a diplomat is that a diplomat is one who is sent abroad to lie for his country,” he said. This sentiment dates all the way back to the 17th century when Henry Wotton, an English diplomat among other things, made the quip during a stay in Germany. For Chinoy, it’s pithy, but missing the heart of diplomacy that is vital in today’s complex world. Chinoy believes these fractures are what diplomats need to address most for the sake of harmony because despite the push for globalization, clear agreements on these issues don’t come easily. Even knowing a few words in another language can help break barriers, and as a linguaphile, the ambassador has studied numerous languages since childhood. Arabic, English, French, German, Gujarati, Hindi, Japanese, Mandarin, Spanish and Urdu are among the list. Chinoy’s hunger for knowledge can overrule the need for food, sharing that he attended a French class three times a week during the two years he worked as a diplomat at the United Nations in New York. The problem was that the class overlapped with his lunch. “For me, lunch was really irrelevant. I could always grab something later. But I think it’s curiosity. I’ve always been very curious and I’m not ashamed of asking questions about things I don’t know,” he said. Curiosity, combined with his simple life motto of never giving up, reinforced by the equally straightforward, “Always do your best. Never to compare with others, but strive to better yourself,” continues to push Chinoy. In the future, he’d love to see Japan-India relations reach new heights in areas such as economic and individual relationships, building on shared culture such as Buddhism and business investments, including the construction of the first non-domestic shinkansen in India. Sujan Chinoy’s career in diplomacy began in 1981 when he became an officer in the Indian Foreign Service. Over the years, he would be assigned to various positions around the world; from Hong Kong as third secretary at the Commission of India, Beijing, where he served as second secretary at the Indian embassy, to a multifaceted role in his native India at the Ministry of External Affairs. 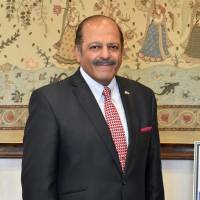 He was a security counselor at the Permanent Mission of India to the U.N. in New York before being transferred to work as a political counselor in Saudi Arabia. 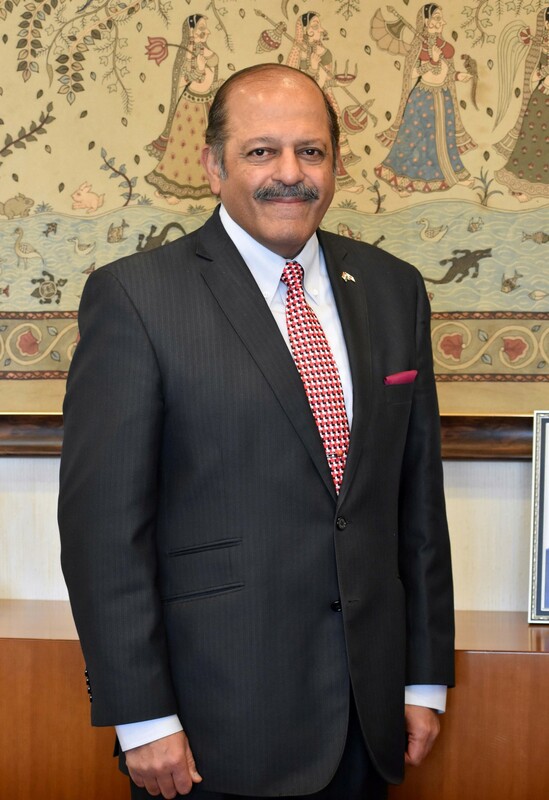 He returned to India a second time as director of the East Asia division for India’s Ministry of External Affairs. Following this, he served as consul general in Shanghai, and again in Sydney. A third assignment in India brought Chinoy to the National Security Council Secretariat. After three years as ambassador to Mexico, he assumed his current position as ambassador to Japan.